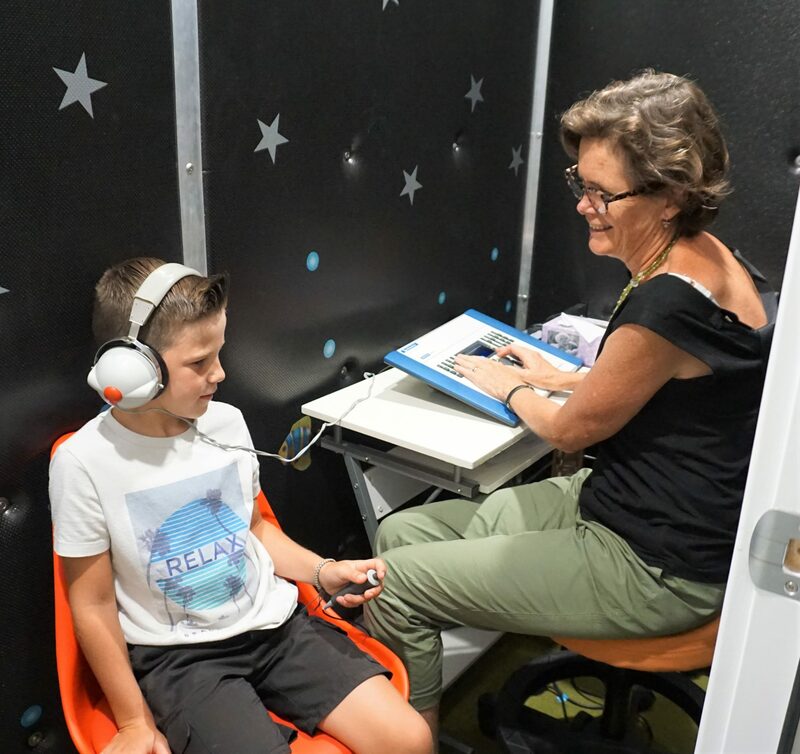 Conductive hearing loss occurs when there is an issue with the outer or middle ear, which interferes with sounds passing through to the inner ear. It can be caused by a build up of earwax, an ear infection, a perforated ear drum, a build up of fluid, or otosclerosis (an abnormal bone growth in the middle ear). 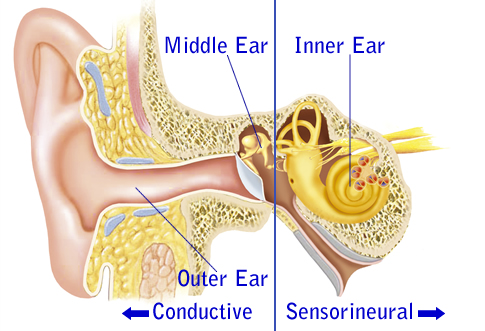 Sensorineural hearing loss occcurs when there is damage to the inner ear (hearing organ, cochlea, or auditory nerve), meaning that it is unable to accurately transmit information to the brain. Sensorineural hearing loss is permanent. It can be caused by the natural ageing process, excessive noise exposure, or certain types of medications. Mixed hearing loss occurs when both Conductive and Sensorineural hearing loss are present. The sensorineural component of the hearing loss is permanent, whereas the conductive component can be either permanent or temporary. EG: You may have sensorineural hearing loss because you work in an environment exposed to loud noises, and you may also have fluid in your middle ear. © 2019 Newcastle Hearing Centre.